Surgery and radiation remove, kill, or damage cancer cells in a certain area. But chemotherapy—which uses medicines or drugs to treat cancer—can work throughout the whole body, killing cancer cells that have spread far from the original tumor. Finding new drugs that can more effectively kill cancer cells or disrupt the growth of tumors is one way to improve survival rates for ailing patients. "Advanced computing is a cornerstone of drug design and the theoretical testing of drugs," said Matt Vaughn, TACC's Director of Life Science Computing. "The sheer number of potential combinations that can be screened in parallel before you ever go in the laboratory makes resources like those at TACC invaluable for cancer research." Three projects powered by TACC supercomputer, which use virtual screening, molecular modeling and evolutionary analyses, respectively, to explore chemotherapeutic compounds, exemplify the type of cancer research advanced computing enables. Shuxing Zhang, a researcher in the Department of Experimental Therapeutics at the University of Texas MD Anderson Cancer Center, leads a lab dedicated to computer-assisted rational drug design and discovery of novel targeted therapeutic agents. The group develops new computational methods, using artificial intelligence and high-performance computing-based virtual screening strategies, that help the entire field of cancer drug discovery and development. Identifying a new drug by intuition or trial and error is expensive and time consuming. 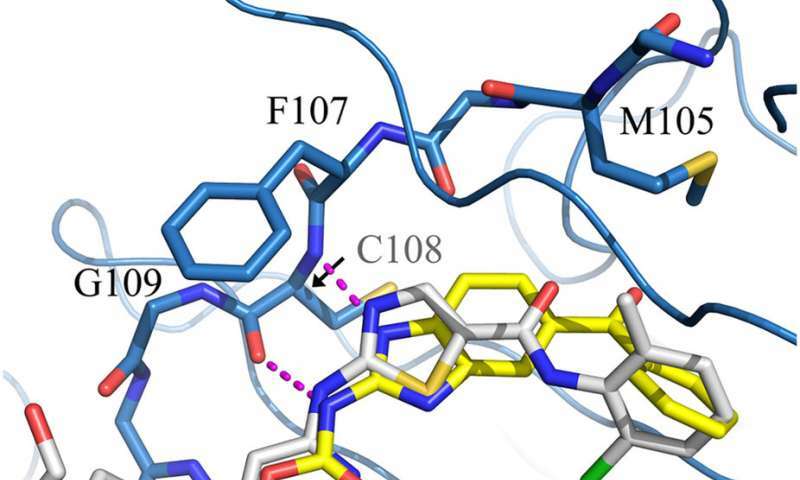 Virtual screening, on the other hand, uses computer simulations to explore how a large number of small molecule compounds "dock", or bind, to a target to determine if they may be candidates for future drugs. "In silico virtual screening is an invaluable tool in the early stages of drug discovery," said Joe Allen, a research associate at TACC. "It paints a clear picture not only of what types of molecules may bind to a receptor, but also what types of molecules would not bind, saving a lot of time in the lab." One specific biological target that Zhang's group investigates is called TNIK (TRAF2- and NCK-interacting kinase). TNIK is an enzyme that plays a key role in cell signaling related to colon cancer. Silencing TNIK, it is believed, may suppress the proliferation of colorectal cancer cells. Writing in Scientific Reports in September 2016, Zhang and his collaborators reported the results of a study that investigated known compounds with desirable properties that might act as TNIK inhibitors. Using the Lonestar supercomputer at TACC, they screened 1,448 Food and Drug Administration-approved small molecule drugs to determine which had the molecular features needed to bind and inhibit TNIK. They discovered that one—mebendazole, an approved drug that fights parasites—could effectively bind to the target. After testing it experimentally, they further found that the drug could also selectively inhibit TNIK's enzymatic activity. As an FDA-approved drug that can be used at higher dosages without severe side effects, mebendazole may is a strong candidate for further exploration and may even exhibit a 'synergic anti-tumor effect' when used with other anti-cancer drugs. "Such advantages render the possibility of quickly translating the discovery into a clinical setting for cancer treatment in the near future," Zhang and his collaborators wrote. In separate research published in Cell in 2013, Zhang's group used Lonestar to virtually screen an even greater number of novel inhibitors of Skp2, a critical oncogene that controls the cell cycle and is frequently observed as being overexpressed in human cancer. "Molecular docking is a computationally-expensive process and the screening of 3 million drug-like compounds needs more than 2,000 days on a single CPU [computer processing unit]," Zhang said. "By running the process on a high-performance computing cluster, we were able to screen millions of compounds within days instead of years." Their computational approaches identified a specific Skp2 inhibitor that can selectively impair Skp2 activity and functions, thereby exhibiting potent anti-tumor activity. "Our work at TACC has resulted in multiple potential drug candidates currently at the different stages of preclinical and clinical studies," said Zhang. "We hope to continue using the resources to identify more effective and less toxic therapeutics." Described as "the guardian of the genome", tumor protein 53 (p53) plays a crucial role in multicellular organisms, conserving the stability of DNA by preventing mutations and thereby acting as a tumor suppressor. However, in approximately 50 percent of all human cancers, p53 is mutated and rendered inactive. Therefore, reactivation of mutant p53 using small molecules has been a long-sought-after anticancer therapeutic strategy. In September 2016, writing in the journal Oncogene, she reported results from the largest atomic-level simulation of the tumor suppression protein to date—comprising more than 1.5 million atoms. The simulations helped to identify new "pockets"—binding sites on the surface of the protein—where it may be possible to insert a small molecule that could reactivate p53. They revealed a level of complexity that is very difficult, if not impossible, to experimentally test. 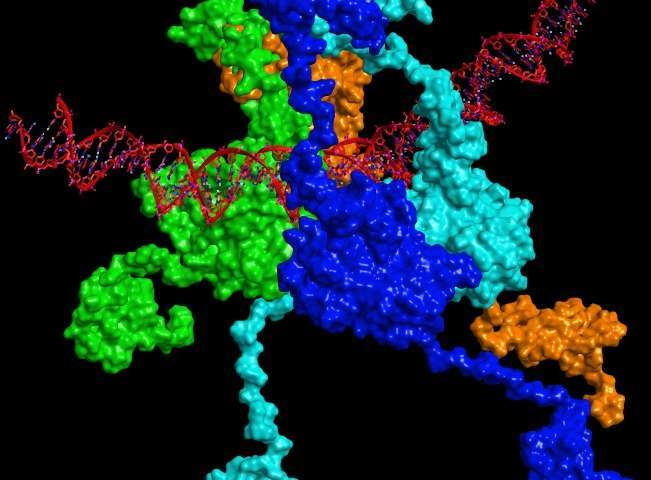 "We could see how when the full-length p53 was bound to a DNA sequence that was a recognition sequence, the tetramer clamps down and grips onto the DNA - which was unexpected," Amaro said. In contrast, with the negative control DNA, p53 stays more open. "It actually relaxes and loosens its grip on the DNA," she said. "It suggested a mechanism by which this molecule could actually change its dynamics depending on the exact sequence of DNA." According to Amaro, computing provides a better understanding of cancer mechanisms and ways to develop possible novel therapeutic avenues. "When most people think about cancer research they probably don't think about computers, but biophysical models are getting to the point where they have a great impact on the science," she said. Chemicals created by plants are the basis for the majority of the medicines used today. One such plant, the periwinkle (Catharanthus roseus), is used in chemotherapy protocols for leukemia and Hodgkin's lymphoma. 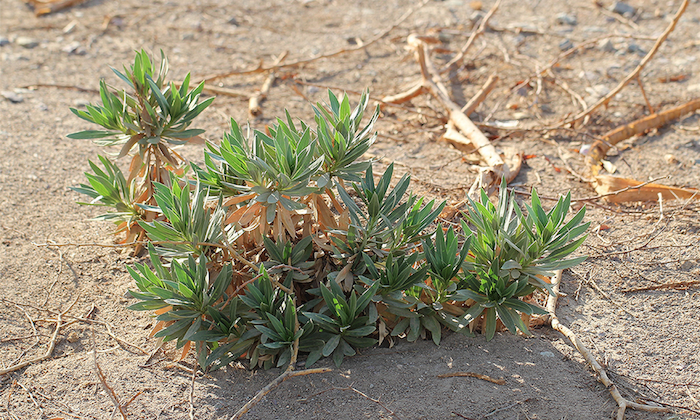 University of Texas researchers—working with researchers from King Abdulaziz University in Saudi Arabia, the University of Ottawa and Université de Montréal—have been studying Rhazya stricta, an environmentally stressed, poisonous evergreen shrub found in Saudi Arabia that is a member of the family that includes the periwinkle. To understand the genome and evolutionary history of Rhayza stricta, the researchers performed genome assemblies and analyses on TACC's Lonestar, Stampede and Wrangler systems. According Robert Jansen, professor of Integrative Biology at UT and lead researcher on the project, the computational resources at TACC were essential for constructing and studying the plant's genome. The results were published in Scientific Reports in September 2016. "These analyses allowed the identification of genes involved in the monoterpene indole alkaloid pathway, and in some cases expansions of gene families were detected," he said. The monoterpene indole alkaloid pathway produces compounds that have known therapeutic properties against cancer. From the annotated Rhazya genome, the researchers developed a metabolic pathway database, RhaCyc, that can serve as a community resource and help identify new chemotherapeutic molecules. Jansen and his team hope that by better characterizing the genome and evolutionary history using advanced computational methods, and making the metabolic pathway database available as a community resource, they can speed the development of new medicines in the future. "There are a nearly infinite number of possible drug compounds," Vaughn said. "But knowing the principles of what a good drug might look like - how it might bind to a certain pocket or what it might need to resemble - helps narrow the scope immensely, accelerating discoveries, while reducing costs." From a batch DNA test a supercomputer should also be able to pattern match known gene mutations to effective drugs to customise drug choice for the patient.